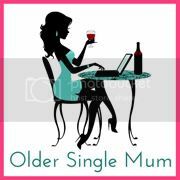 Older Single Mum: Yummy Mummy? A year's supply of Rice Krispies? That 's what we're in with a chance of winning with this latest Britmums promo. Do you like my use of colour? That's because, for a limited time only, Rice Krispies currently come in a Colour Me In packet - something to keep the boys nicely occupied in our lovely holiday villa and there is a fab Colour Together Website with loads more fun to be had with it - both on line and with plenty of stuff to print-off. 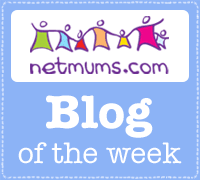 Our entry for the BritMums #ColourMeInRK competition, sponsored by Kellogg’s. Disclosure: We were sent the packet and the pens for the purposes of this promo. Can't see the images unfortunately. That's such a shame, Sarah. I know you never see them and I also struggle with yours! Bizarre Blogger. Thanks for pointing it out. Two young boys like that - must take you back! I can't see them either! When I click on them it tries to log me into GoogleMail. I love Rice Krispie cakes, especially made with Mars Bars and a bit of syrup. Yum -my! Oh no .. I cant see the pictures either .. bummer ... a years supply of rice crispies - cool! A toddlers staple! I love rice cripie nests !!! Oh dear, dear, dear. Polly's hubbie checking them over later for me. So sorry. Can see them now! Great photos. Don't both of your boys look so much like you! Hubby pointed it out. Have fun with the cakes.